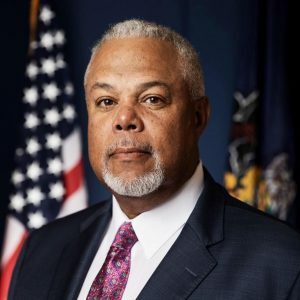 State Sen. Anthony Williams (D-Philadelphia) formally announced his intentions for the Democratic nomination for Mayor of Philadelphia earlier this week. He’s the third Democrat to join the race. Former City Controller Alan Butkovitz announced his intentions for the seat in November, while incumbent Mayor Jim Kenney officially launched his re-election bid in February. Williams, who finished a distant second in the six candidate Democratic primary field in 2015 to Kenney, was the last entry into the field this time around, but said it was important to run again at his campaign announcement. At his campaign announcement, Williams detailed his opposition to the controversial sugary beverage tax, while accusing Kenney of failing to address poverty, struggling schools and property taxes that are driving out residents from gentrifying neighborhoods. “Philadelphia is a tale of two cities, where poverty and violence in Northeast and South Philadelphia reflect problems are not restricted by zip code, and when the symbol of the city becomes potholes, someone is asleep at the wheel,” Williams said in prepared remarks. According to the Philadelphia Inquirer, Kenney’s administration has touted expanding pre-K, reducing the prison population and “curtailing the Police Department’s use of pedestrian stops” for his bid for a second term. The winner of the Democratic primary will face South Philly defense attorney, Billy Ciancaglini. He was set to face Daphne Goggins for the GOP nomination, after she received the endorsement, but dropped out the day before petitions were due decrying the city party and Ciancaglini for working against her and accusing the party of not being ready to endorse a minority candidate for Mayor. Goggins shared on her Facebook that she believes Williams is the best candidate for Mayor. No incumbent Philadelphia mayor has lost an election since the city’s Home Rule Charter was passed over 70 years ago. Williams joining the race probably guarantees that Kenney wins. With two candidates facing the Mayor, they divide the opposition vote. Oh, BTW, at least one photo of Billy Ciancaglini at a white supremacist rally organized by the Proud Boys has surfaced. This would not be surprising to anyone who has read some of Billy’s social media postings. It appears that Twitter recently shutdown his feed (likely for content on this subject). Who wants to bet that this is all so Anthony Williams can get more money from the charter school PAC (really just 3 millionaires in the school charter business) who gave him millions for his run at Governor? Who thinks that if elected Mayor, that Williams would return that “investment” to those millionaires 10-fold? But, since AG Joshy took $150,000 from that same PAC, it sure seems unlikely there will be much (any) investigation into whether donations from this PAC constitute bribery, quid-pro-quo or other abuses. Williams took $5 million from 3 guys (with a single agenda) just for his short-lived Gov bid ($1.6 was “in-kind” the rest was direct money). That doesn’t even include another $420,000 for his state senate campaigns. This does not include any money the PAC spend on his behalf in “advocacy”. The Feds haven’t charged Kenney with diddly-squat. Most of the local 98 corruption seems to be from misuse of some $600,000 in funds for personal use. Kenney has had a lot of support from different interests in the city, and is certainly not as beholden to local 98 as Williams would be to the school charter trio. Williams is not someone I consider remotely trustworthy looking out for the public interest.